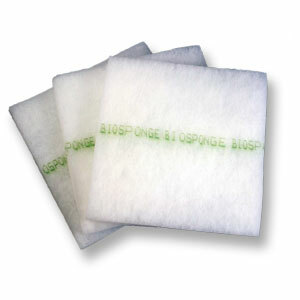 BioSponge air filter media has the lowest resistance to airflow, so it works well when airflow is a concern. Arrestance : 89% @ .50" w.g. After having our new heat pump installed in our attic, the filters we used to use no longer fit. They would get sucked into the furnace and were the devil to remove. (Plus I don't think we were getting the full benefit of using a filter!). One of our A/C technicians suggested we use the Biosponge system. He measured the frame size we needed. From their website it was easy to order the correct size by following the simple instructions. The first order costs more because you have to order the frame; future orders you only get the inserts, which come in a clear plastic bag. The website also gives you the option to send yourself a reminder as to when to replace the filter. I have been using these air filters for over 10 years now and love them; however, what I love best is the ease of ordering and speed of delivery. Excellent product, excellent service. What more could you ask for? These furnace filters are leaps and bounds above the filters they replaced. The dust in the house is visibly reduced. The frame is outstanding, as well. My new furnace guy educated me on how to put the filter into the grill. I learned that it should not get sucked up every time the furnace comes on. Instead, adjust your grill using the tabs on the inside of the grill so they fit more securely and firmly in the grill. Fantastic product that is easy to replace every time. Works great keeping the dust out of the air while my AC/HEATER is running. I highly recommend Thieme filters. I have been unsung them fir over 6 years. Our new American Standard A/C system is just 4 years old and we got the first set of biosponge filters from the installing company. The new system requires, of course, a particular size of filter, which cannot be purchased elsewhere on line or in a big box store. We went online to the actual supply company and were very pleased to find exactly what we required and at a reasonable price. The filters arrived at our door within a 48 hour period and we were so pleased with such quick and responsible service. Thank you and we will order from you again. I was introduced to your filters about fouryears ago by my airconditioned man, Hector Hernandez. 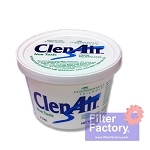 I loved your filters because they keep the air clean in my apartment, they are easy to insert and easy to store. When replaced, they are not messy. I have recommended your filters to friends. They are easy to order on line. As promised, the package of six filters arrived as promised.Thank you for a great product.for a great product. 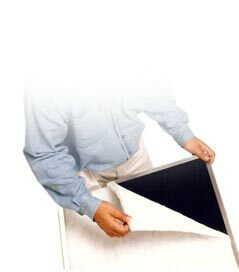 Years ago our a/c technician recommended we use Biosponge a/c filters, and we have ever since. Ordering is very convenient, and we appreciate the coupons that are available each month. What's more, Filter Factory has always filled and sent our order so soon that I always seem to exclaim, "Wow, that was fast!" We have been using these filters for "many" years and found they are the best anywhere. Several people in our family suffer from severe asthma and this is the only filter that has been excellent for us. So if your are looking for a filter replacement that takes care of it all try this company. You will never go back to others. The refills are superb, my order came quickly. Quality is there job #1. Excellent product & excellent customer service. Very satisfied. I have been using this product for at least 20 years and would use none other. Also, customer service is the best, thanks. I have used these for years and am very pleased with the performance. The Biosponge HealthSmart furnace-AC filters are a much better quality than the ones at the local box store. My AC service recommends that I continue using them. Fair price for this excellent product. 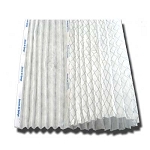 These filters were recommended by my AC company many years ago and I have used them since. They are fantastic, especially in the heat and humidity of So. Florida. Ordering is quick and easy. I have been purchasing my filters from the Filter Factory for a number of years. I am very satisfied with the product and service provided. The filters assist in maintaining a clean and healthy environment in my home. The filters are cut to order for my Trane A/C system. Fast shipping once the order is placed. I have been using this product for many years now in hot and humid florida. It has performed well and provides our locations with great performance. With quick shipping and a reasonable price this is a great value. Have been using these awesome filters for over 5 years and love, love them! Easy door to door delivery, easy to take out and install, no big box store shopping bringing home wrong size. It is win, win, win in my home! Thanks! I have been using these Filters since I got my new AC unit. Very satisfied, they work great, ordering and delivery process works fine. I definitely recommend them . The product is great. I just don't like products being visible in the shipping process. 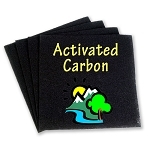 This is an excellent product and the service provided by Air Sponge is great. I would highly recommend this filter and the company. Great AC Filters! Good price and timely delivery from filter factory. Shipped quickly and product always comes well packaged! Q: Which side faces out? Does the side that says "Biosponge" face the outside to collect the dust or does it face the metal mesh of the fram backing support? A: The writing side of the filter should be facing out at all times. Yes, you should see Biosponge, as this is the side the air should hit first. Q: How long between filter replacement? A: The Biosponge filter should be changed every 30 days of use. Q: What is the size of the bio sponge filter and how many are in a packet? A: Have your A/C tech measure for you. You also need to have a margin around the edges (in fractions of inches) so that the correct size filter fits within the frame that your order in your first purchase order. I keep the sizes for future replacements inside my small personal phone directory. There are 6 filters inside each purchase. A: The biosponge can be custom ordered to whatever size you need and they come 6 to a package. Q: Do you get 6 for $55. or just 1? Q: Am using my 2nd to last filter & never remember what side the printing goes on? (then need 2 order more? thank you? Q: Which side of the filter faces on the outside of the return air? 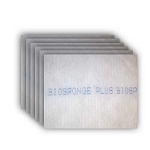 Q: What is the price for 12 biosponge or biosponge plus pks? A: You need to put the size you are looking for us to make and then make the quantity 2 instead of 1 and it will give you the cost. Q: Last year I purchased these filters and the price for 6 was $ 41.00? now they are 6 for $ 58?? Do you offer any coupons for this purchase? I am a single mom with an adult child I am caring for and this is quite a price increase. Is there anything you can do to help me on the price? I am a senior citizen, if there are any discounts available. A: Your price for the previous year was for the frame and filters. When you order the new set up, we give a break on the filter pads so it a good value to start with. 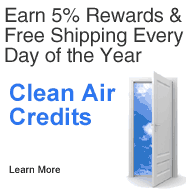 Q: Can my order be repeated for Ac filters to 7091 Chesapeake cir , Boynton Beach, FL 33436? A: If you log into your account that you have made in the past, you can find your past orders in your account page. You can repeat any order that you want to from that area.